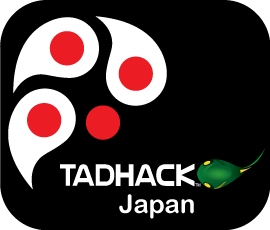 We’re excited about TADHack-mini Japan, its going to be a fun event. It is made possible thanks to the support of Matrix, NTT-AT (Advanced Technology), Skyway and Telestax. A special thank you to NTT-AT for all their help and support in making TADHack-mini Japan possible. Thank you to partners Ric Telecom and WebRTC Conference for your support and promotion in Japan; and the developers who have registered for their tweets and promotion across Japan. Here is a brief of the what is planned on the 13th and 14th February in Kawasaki. The purpose of TADHack is to educate and demonstrate the power and importance of telecom application development. Entrance to TADHack Japan is free. Our approach is flexible at TADHack, we want you to learn, share, code and create! Here is the link to the full schedule. Each participant can develop an application or service during the hackathon, and give a pitch about their work from about 14:00 of the 2nd day (Sunday). But if you have limited availability over the weekend, we will work with you, we are flexible. After the pitches there will be judging and the announcement of the winners. Registration can be made as an individual or a team of up to 5 persons. You can also form teams during the event. If you already have a project idea when you register, please write in the project name and project outline section. If you have not yet decided, you don’t have to write in that section, you can decide during the event. Wireless LAN (802.11a/b/g/n bandwidth 5GHz/2.4GHz) is available. Wired LAN is not available. Power, outlet, projector, screen and microphone for the pitch. Development environment (programming tool, etc.). The sponsors will also help you with setting up development environments through the event. If you want to use a smartphone/tablet in your work, please also bring those. There is no restriction of theme or concept at TADHack. Resources suitable for telecom application development will be provided from the event sponsors (Matrix, SkyWay, Telestax). Participants can freely utilize these resources, we encourage you to mash them up, it increases your chances of winning a prize. Here are the Hackathon rules. 10 min. is given for each individual or for each team, 5 min. for pitch and demo, 5 min. for Q&A. Pitches can be given in Japanese or in English, or both if you want, we’re flexible. For each sponsor’s development resource (Matrix, Skyway, Telestax), 1 or 2 of the pitches will be selected as winners. Winners will be given a sponsor’s prize, AND tickets for WebRTC Conference Japan (Feb. 16 Tue to Feb. 17 Wed.). Winners can also give their pitch at the main session of WebRTC Conference Japan if they have the time. English-Japanese translation will be provided as needed. Due to security reasons, participants cannot stay at the location over-night. 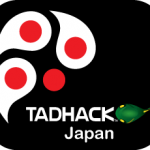 You can register for TADHack Japan here in English or Japanese. Remember, we always accept remote entries! 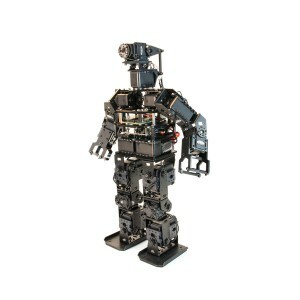 And don’t forget one of the prizes is a Trossen HR-OS1 Humanoid Endoskeleton Robot, cool!